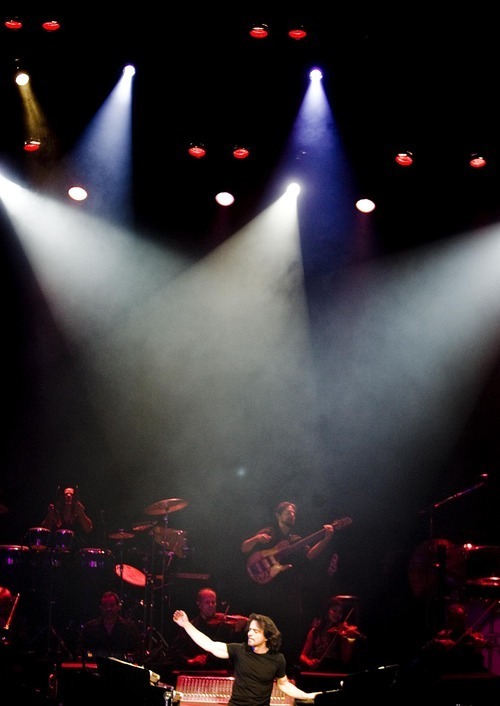 Concert review • Greek musician returns with his long locks and signature music. Djamila Grossman | The Salt Lake Tribune Yanni performs at the Maverik Center in West Valley City on Saturday. 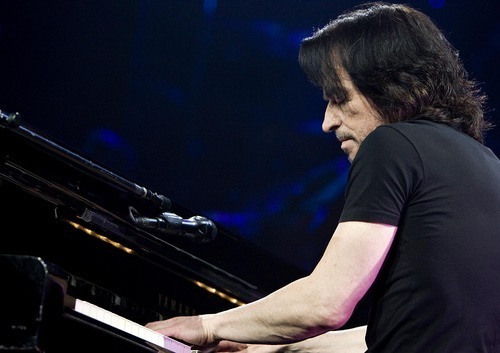 Djamila Grossman | The Salt Lake Tribune Yanni performs at the Maverik Center in West Valley City on Saturday. 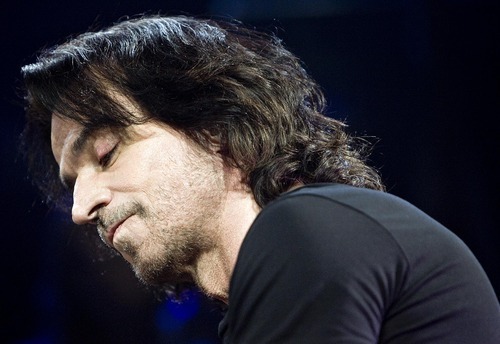 Djamila Grossman | The Salt Lake Tribune Yanni performs at the Maverik Center in West Valley City on Saturday. Djamila Grossman | The Salt Lake Tribune Yanni performs at the Maverik Center in West Valley City on Saturday. Djamila Grossman | The Salt Lake Tribune Yanni performs at the Maverik Center in West Valley City on Saturday. 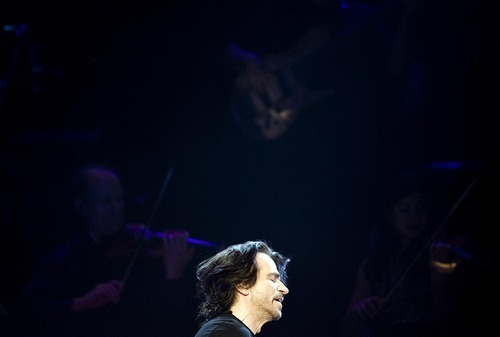 Djamila Grossman | The Salt Lake Tribune Yanni performs at the Maverik Center in West Valley City on Saturday. 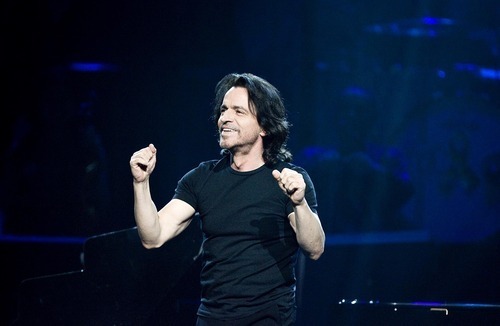 Djamila Grossman | The Salt Lake Tribune Yanni performs at the Maverik Center in West Valley City on Saturday. Djamila Grossman | The Salt Lake Tribune Yanni performs at the Maverik Center in West Valley City on Saturday. Djamila Grossman | The Salt Lake Tribune Yanni performs at the Maverik Center in West Valley City on Saturday. West Valley City • Pyrotechnics, choreography and super-sized projections have become standard for most concerts, giving extra bang for the buck to those willing to pay premium ticket prices. But it was the music that Yanni fans came to hear Saturday night at the Maverik Center in West Valley City. The Greek musician's loyal audience turned out in force, and their boisterous response showed why he has made the Salt Lake area a regular stop on his international tour schedule. 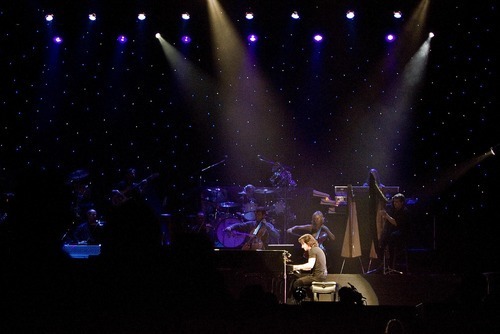 During his last Salt Lake area concert in 2009, Yanni sported shorter hair and presented several singers, adding a new dimension to his characteristic instrumentals. But this year, his long locks returned, along with his signature new age, or as he calls it, "contemporary instrumental," music. The tour was billed after his latest album, but he only played a few selections from this CD, including the title track "Truth of Touch." 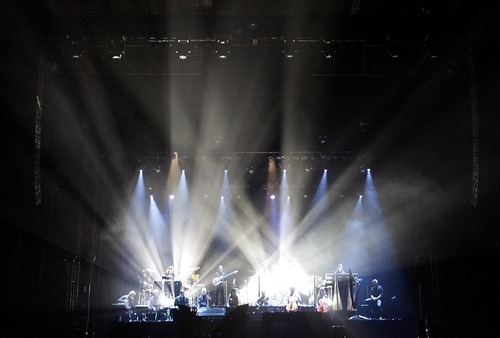 Most of the concert's 16 selections and four encores came from his 15 previous albums. "Felitza," a sentimental waltz from the "Dare to Dream" album, was written for his mother. Another ballad, "The End of August" from the "In My Time" album, featured solo violinist Samvel Yervinyan, who was also featured during an encore performance of audience favorite, "The Storm," based on a melody from Vivaldi's "The Four Seasons." 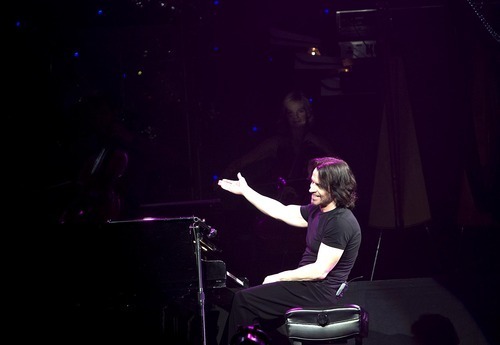 "Santorini," from Yanni's second album, was another performance that brought cheers. Each of the 13 orchestra members were impressive musicians and soloists in their own right, a requirement for this music, much of which consists of instrumental riffs and variations over static chords and arpeggios. Some of the evening's most impressive solo moments came from Jason Carder on trumpet and flugelhorn, an unaccompanied cello solo by Alexander Zhiroff that he ended with flair by twirling his instrument, and a manic harp solo from Victor Espinola. Drummer Charlie Adams started performing with Yanni 30 years ago in rock and roll bands. Before starting his featured work, "Marching Season" from the "In Celebration of Life" album, he stood to show-off a Utah Jazz jersey he was wearing, bringing an ovation. He ripped off the Jazz shirt to reveal a Real Salt Lake jersey, earning an even bigger roar. His jaw-dropping solo section lasted more than five minutes. Two selections featured singers Lauren Jelencovich and Lisa Lavie. Their voices added an atmospheric quality to the music. Their first selection was an obvious nod to Bizet's opera "The Pearl Fishers." 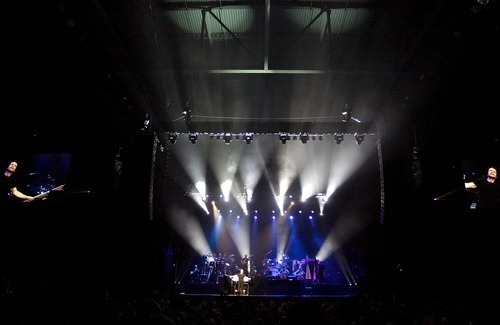 Bottom line • Yanni went back to basics, mining nostalgia with a concert featuring many old favorites.